The US Preventive Services Task Force (USPSTF) makes recommendations about the effectiveness of specific clinical preventive services for patients without obvious related signs or symptoms.It bases its recommendations on the evidence of both the benefits and harms of the service and an assessment of the balance. The USPSTF does not consider the costs of providing a service in this assessment. The U.S. Preventive Services Task Force (USPSTF) recommends behavioral counseling to help reduce the risk of skin cancer from ultraviolet (UV) radiation in person ages 6 months to 24 years with fair skin types. The USPSTF routinely makes recommendations about the effectiveness of preventive care services. This recommendation statement updates a 2012 recommendation on behavioral counseling to prevent skin cancer and a 2009 recommendation on screening for skin cancer with self-examinations. 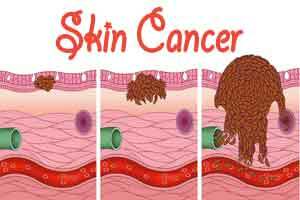 Skin cancer is the most common type of cancer in the United States. There were an estimated 3.3 million new cases of nonmelanoma skin cancer in 2012 and approximately 90,000 new cases of melanoma skin cancer in 2018. The USPSTF recommends that clinicians selectively offer counseling to adults older than 24 years with fair skin types about minimizing their exposure to UV radiation to reduce the risk of skin cancer. Skin cancer is the most common type of cancer in the United States and is generally categorized as melanoma or nonmelanoma skin cancer.Exposure to UV radiation during childhood and adolescence increases the risk of skin cancer later in life, especially when more severe damage occurs, such as with severe sunburns and that is the reason USPSTF has come out these recommendations.